Georgius Agricola. De Re Metallica. 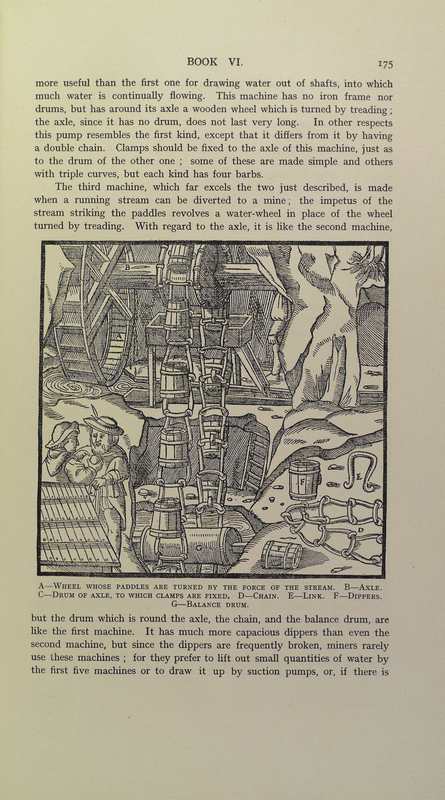 London: The Mining Magazine, 1912. Agricola (1494-1555), often described as a chemical technology and mining pioneer, studied medicine, mining, and metallurgy before being appointed town physician. He used his scientific training and powers of observation to improve upon the mining and smelting operations he witnessed, thereby using the expansive configurations depicted in his De Re Metallica as his laboratory. 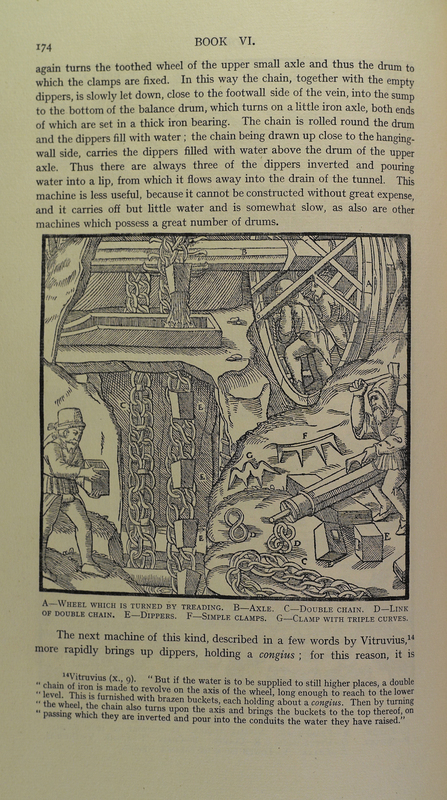 Although De Re Metallica was originally published in 1556, Lehigh's copy is a unique English translation. 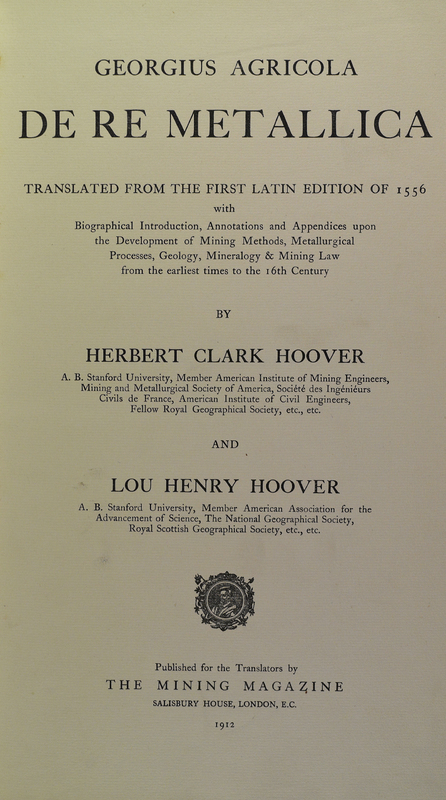 It was published in 1812 by future President Herbert Hoover (1874-1964), then an engineer, and his wife, Lou Henry Hoover (1874-1944). Gift of Jacob Stair, Jr.